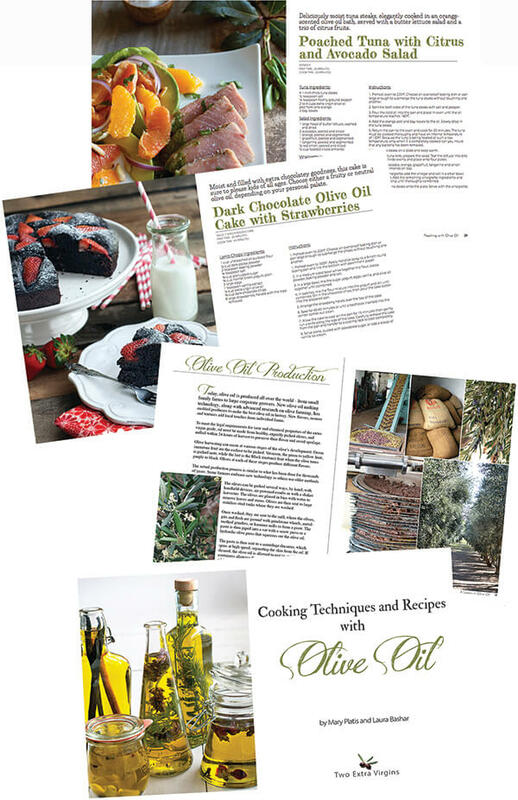 To read more reviews of Cooking Techniques and Recipes with Olive Oil CLICK HERE! “This book has everything you need to know to enjoy and cook with olive oil: a little history, a little info about varieties and their different flavors, and wonderful methods, tips, and recipes. It’s a great—and inspirational—how-to guide! Mary and Laura come together to write a wonderful book. 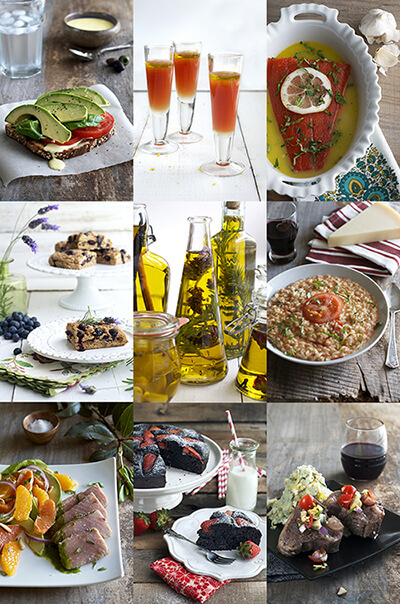 I especially enjoy the recipes that compliment produce so well! 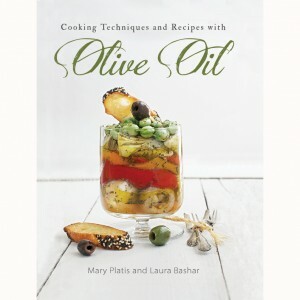 In my personal cooking at home, using olive oil in recipes turns them from ordinary to extraordinary! 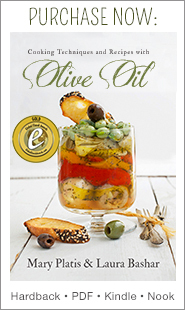 Olive oil is the preferred oil among cardiologists and nutritionists alike. 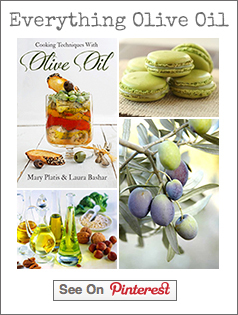 Mary and Laura easily demonstrate how to incorporate this more healthful oil into great-tasting recipes. 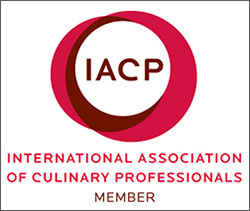 A must book for any culinary library.